Below please find the most frequently asked questions that our panellists have along with their solutions. 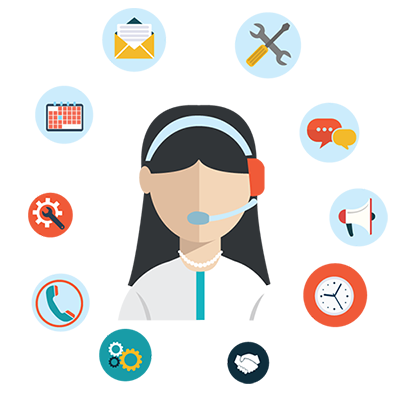 If you can’t find your answer here please feel free to get in touch with our support centre or contact us directly. At the log in page enter your email address and click ‘Forgot your password’ under Login button and we will send you a reset code. How do I update my personal details/preferences? Click your “Profile” and under “setting” on the righthand side click > to edit your details/preferences and click “update” when you are finished. Note : Please note that once you deactivate your account, we will not be able to pay you any outstanding rewards that you have accumulated. Re-joining us again at a later date will not reinstate previously accumulated rewards. We cannot carry forward into a new account. I can't access the survey, what should I do? We place the URL to each survey at the bottom of each email we send you. Copy and paste this into a new browser window where you should be able to complete and submit the survey. Yes, every survey you fully complete will earn a reward. Our regular surveys are relevant to most of our panellists. Sometimes we need a specific profile and not everyone will fit the criteria. You will not be rewarded for answering the quick screening questions (e.g. which mobile phone provider are you with?? ), and this information will not be used as part of the research. Rewards are quick for most surveys and you will soon see them added to your balance. Log on to your account at any stage or download the app. Some of our surveys require some quality assurance checks. For these surveys, the rewards can take a few weeks to appear in your account. If you successfully completed a survey and the reward has not been credited to your account within four weeks please get in touch with us : info@europinions.ie or click here to raise a support query. You can claim your reward when your balance has reached €30. All you have to do is log into your account and click “Rewards”, then > at your amount and click Redeem button. Yes, PayPal charges a 2% handling fee. This will be deducted from the total you receive. I’m having trouble logging in to my Europinions account -what can I do? We are part of Direction Research Group Limited and we work with a number of market research brands: Market Research Ireland, Focus Groups Ireland, SurveyCX, Host Surveys. We also rely on some partners to help us deliver a great panelist service e.g. rewards from One4all, Amazon and Paypal. How do I get invited to take part in a survey? You will be invited to take part in a survey if your profile matches that of a person whose preferences and opinions our client wishes to find out more about. For example a cosmetics company may wish to survey women between the ages of 20- 40. In this case all women between the ages of 20 and 40 will be contacted to see if they wish to partake in a survey. Do I have to complete every survey you invite me to take part in? No. You may complete as many or as few of the surveys we send you as you wish. That all depends on you, some of our panellists do a few surveys a week, it suits others to do it less often. Either way the choice to accept an invitation to participate is yours! 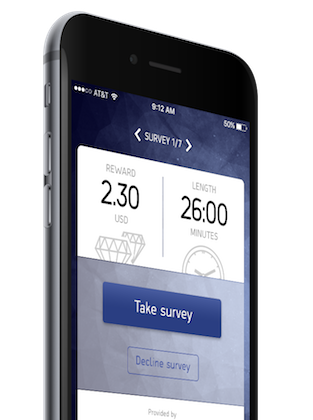 If you are looking to participate in more surveys and turbocharge your rewards, then you really need to be using our Opinion App. While you're on the go, access your surveys, update your profile, keep tabs on your rewards and get more and better matched surveys. It is quick and simple to download and is completely free. Once you join you will be able to start using our app. Start completing surveys and begin earning your rewards. Sign up is quick, simple and FREE. FAQ Help Contact Us Need Research? © Europinions.ie. All Rights Reserved. 2018. Powered by Direction Research Group Limited.